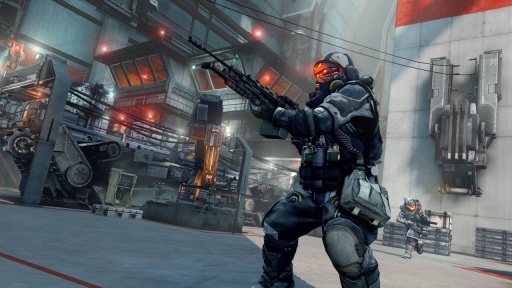 Killzone 3 is a first person sci-fi shooter. You are Tomas `Sev` Sevchenko, part of the remaining ISA forces on Helghan. As a surviving member of the Special Forces unit Alpha Squad, you must fight your way across the unforgiving planet, against a vindictive, merciless enemy, in a desperate attempt to escape Helghan alive. This project was for Guerrilla Games. I was working as Lead Gameplay Programmer. I led a team of around 13 programmers (network / game play programmers). I mainly managed the team and collaborated with the designers to implement all game features. I rewrote our collision detection library to sit on top of Havok thereby removing the need to store all collision data twice, and I also spent a lot of time debugging network connectivity errors.